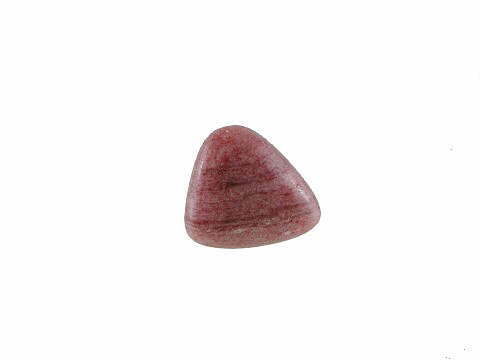 Thulite is a beautiful, pink variety of Zoisite. Originally discovered in Norway in 1820, it takes its name from the word ‘Thule’, which in classical literature meant a place or island on ‘the borders of the known world’ and descriptions taken from Ancient European maps and charts point to this place being Scandinavia and ‘Ultima Thule’ was the Ancient Greek word for Norway. Genuine Thulite is only found in Norway, where it is the National stone. Occurrences have, however, been found in Germany and the US. Manganese-rich Zoisite give Thulite its lovely pink colour. If Epidote is present (as it is with this tumble) it shows as thin, dark red mangan-rich veins (modified as Piemontite) and clear or white areas are Quartz. The colour varies from a light pink to dark claret, according to the amount of manganese content. Also sometimes referred to as Rosalite, Thulite has some beautiful properties. Unsurprisingly, it resonates best with the Heart Chakra and, therefore, also works very well with the Pink Ray of love & compassion, which is governed by Archangel Chamuel. It is suited to all who would benefit from heart-healing and works well to draw people out of themselves. It is also believed to help shy, introverted types better connect with people around them and the world at large. It can be useful for artistic people who are experiencing creative block. The energy of Thulite grounds nerves or self-doubt and encourages true expression to flow from the heart; making it ideal also for teachers and instructors. It is also said to be of help where extreme exhaustion is a factor (as with conditions such as M.E. ).